Schlage Lock Company introduced the Schlage Encode Smart Wi-Fi Enabled Deadbolt at CES 2019, and it’s the first Wi-Fi connected smart lock that doesn’t need a hub. You can store up to 100 temporary, recurring, and permanent codes for the lock and can configure the codes for date and time access schedules. 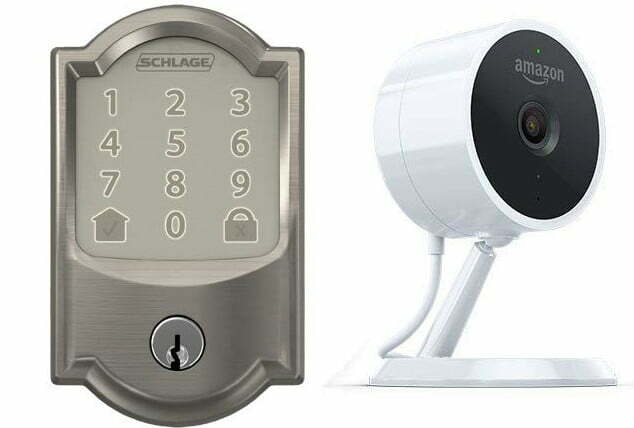 You can pair the Schlage Encode lock with an Amazon Cloud Cam to use the lock for Amazon Key deliveries if they are available in your area. 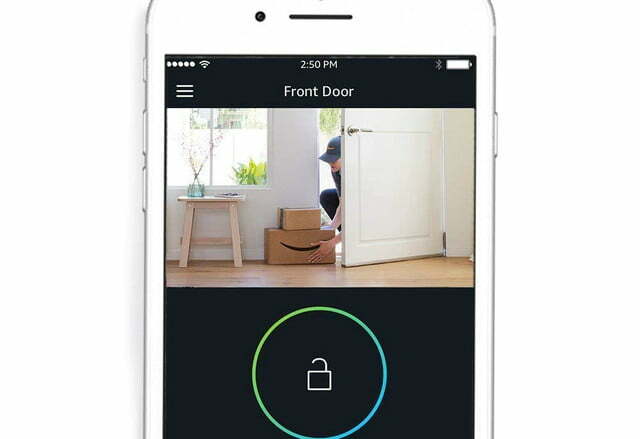 When you use the lock for Amazon Key delivery service, you can receive an alert when the delivery person opens the door to place your packages inside. You can also view the delivery person’s entry and exit via a live feed from the Cloud Cam. The Cloud Cam isn’t required to use the lock with Amazon Alexa via the Amazon Key Alexa skill. With the Alexa skill enabled, you can lock and unlock the Schlage Encode lock or check the lock’s status from any location where you have an internet connection. 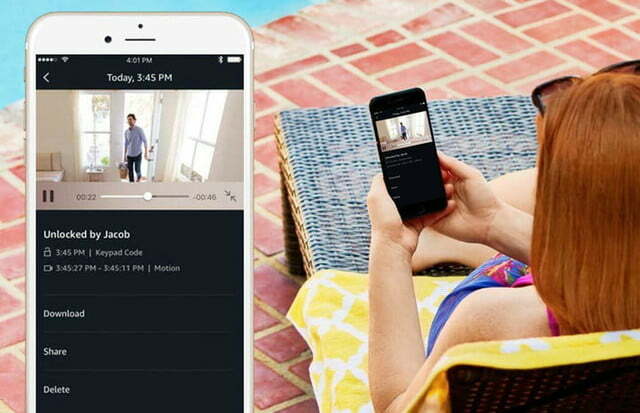 If you do have a Cloud Cam in your Alexa devices network, you can also view video clips or watch a live video feed even if Amazon Key deliveries are not available in your area. If you use the Schlage Encode lock with a Ring Video Doorbell or Ring Camera, you will be able to lock or unlock the smart lock directly from buttons in the Ring app’s live video feed. The Ring app compatibility feature is available now. According to Schlage, installing the Encode lock is a simple process. The lock is compatible with doors between 1-3/8-inches and 1-3/4-inches thick that have a standard deadbolt mounted separately from the door handle. The lock is powered by a battery rated for six months use under normal access activity. A low battery indicator alerts the user long before the battery fails. The Schlage Encode Smart Wi-Fi Deadbolt is available for pre-order in Schlage’s Camelot style with a satin nickel finish on Amazon. The lock by itself costs $250 or $300 bundled with an Amazon Cloud Cam kit, a $70 savings from the buying the lock and camera separately. 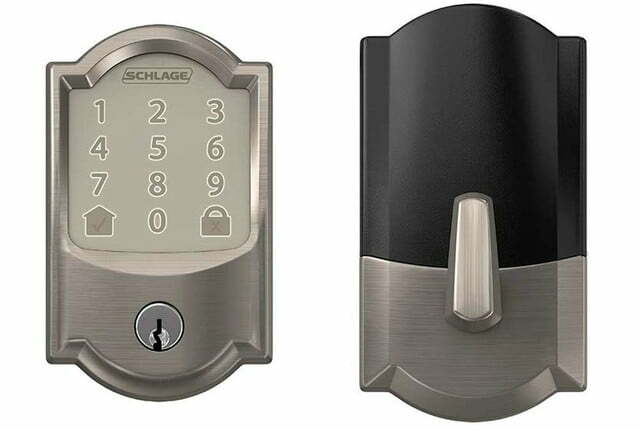 Both the bundled lock and camera and the Schlage Encode lock purchased separately are scheduled to ship on March 5.